Preparing a new commission to be sited within and responding directly to the unique Klankenbos and Samhain Festival. 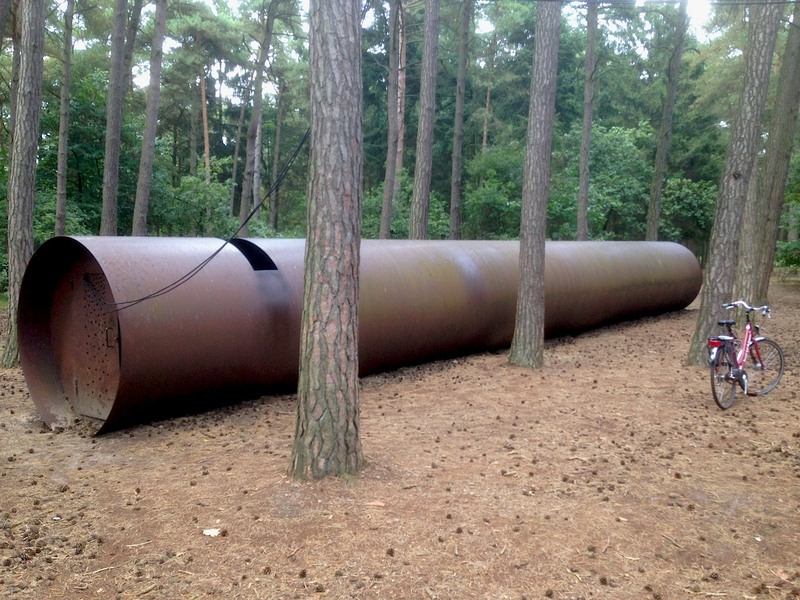 ( An Art Trail Commission by TAKT Dommelhof and Musica Impulse Centre for Music for Samhain Festival ). – Here long time old collaborator and artist Toby Jarvis returns to the Aswarm fold. A new installation, incorporating a new idea – strands of voice activated light barriers that will fan out and divide the forest. 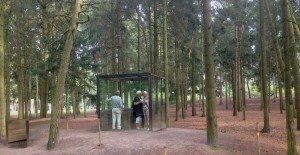 This new piece will also adapt a new version of The Speakers that will occupy the forest surrounding this fantastic glass box piece, called Tacet (by Hekkenberg Architects and Paul Beuk). – A sealed cube you can climb into from beneath and observe the forest in silence..( an architectural piece inspired by Cages 4’33”). This new piece responds both to Tacet and to the centenary of WW1 via the Dodendraad (Wire of Death) which passed near by – a little known piece of local history- an electric fence that was rigged along the length of the border of Belgium and Holland and which severed communities and killed thousands, during the German occupation of WW1.. – A reference that resonates today with the wall in Gaza and ISIS’s refute of the Sykes-Picot Agreement border between Syria and Iraq ( new spoken content gathered within The Speakers for this location and time). 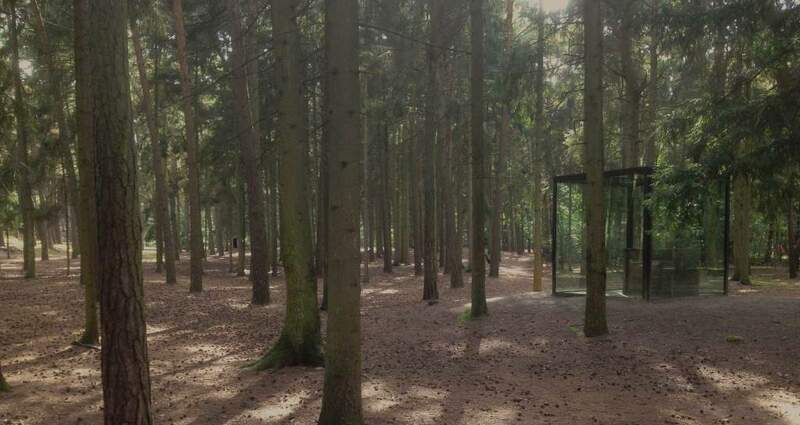 I really like the idea that in this silent glass Tacet cubicle, one can not only experience the forest a new, but also silence the chatter of the web ( i.e. The Speakers suspended outside.). -In this moment of clarity, there’s also a flipside.. -inside one can scream.. and no-one will hear you.. The voice of this person within (should they choose to use it) will ignite strands of light, woven between tree’s. –The voice will become manifest as a tool for control, creating barriers & fences, dividing free movement through this public woodland, whilst also providing a moment of wonder! The mic will also provide a platform to speak: Here one can also ‘speak’ the answer to a question, we’ve carried on from The Speakers in Graz (Austria), about describing a moment in your life when you wished you had not remained silent, and it will be recorded and woven into The Speakers content stream outside, and on into the next incarnation anon. – a 40′ Flute that you can walk within and feel your trousers do the 10Hz shuffle..immense! 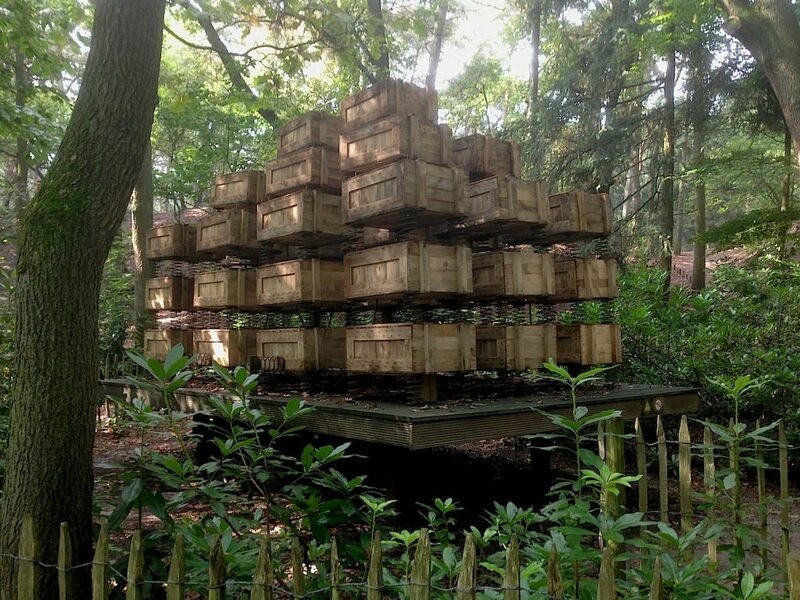 Box crates full of various things sit stacked upon springs.. move close and they start shaking and rattling.. then begin responding to themselves in some chaos theoryness.. – possibly one of my favourate pieces of sonic arts I’ve ever come across, brilliant!